Carr Maloney Welcomes Dennis Chong and Brian O’Shea to the Firm | Carr Maloney P.C. Carr Maloney is pleased to welcome Dennis Chong and Brian O’Shea to the Firm. 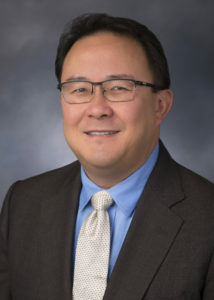 Mr. Chong is joining the firm as Senior Counsel and will be primarily supporting the Employment & Labor Law, Civil Rights, Professional Malpractice and Appellate Practice groups. Prior to joining Carr Maloney, he represented plaintiffs in cases involving employment discrimination, wrongful termination, sexual harassment, racial discrimination, and breaches of contract. Mr. O’Shea is joining the firm as an Associate and will be primarily supporting the Employment & Labor Law, Civil Rights, and Directors & Officers Liability Groups. Prior to joining Carr Maloney, he was a Law Clerk to the Honorable Crystal Dixon Mittelstaedt, Associate Judge for the Circuit Court for Prince George’s County, Seventh Judicial Circuit of Maryland.